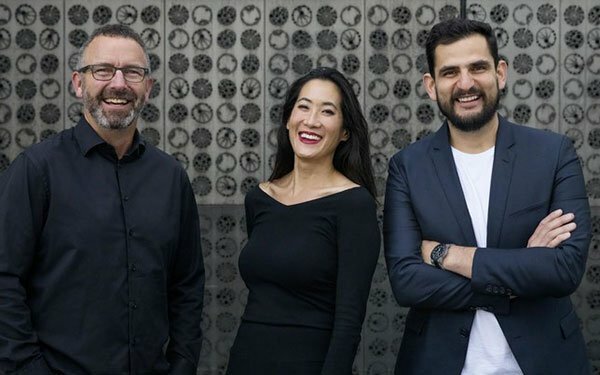 Finland's hasan & partners has acquired a 30% stake in newly formed agency TBD (to be defined) as the Helsinki-based shop gains its first toehold in the U.S.
Based in San Francisco, TBD has been founded by three longtime industry pros, including creative veteran Rafael Rizuto, innovation strategist Virginia Wang and Jordan Warren, who previously founded Argonaut and Eleven. Warren will serve as CEO of TBD. Rizuto was previously with 180LA where, as executive creative director, he collected 20 Cannes Lions in the past two years. Strategist Wang has worked at IDEO, MTV, Electronic Arts, Goodby, Silverstein & Partners and DDB New York. For hasan & partners, this relationship "shows the world the group's international intentions” says Ami Hasan, founder and chairman of hasan & partners. The 170-person hasan & partners and TBD will communicate daily to exchange ideas and knowledge. "The full capacity and skills of our Nordics operations are at their disposal from day one," Hasan says. TBD has access to hasan's content studio, video capabilities, creatives and production. "We will be exchanging peoples’ physical locations too, when practical. But that is not necessary to work together in shared client projects," Hassan added. Hasan says the minority stake is designed to enable TBD to control its own destiny. "They are responsible for the business and need to have maximum incentive to grow the agency," he says. "This may change at a later stage."